With the holiday season upon us, have the little ones pitch in and make some decorations and/or holiday fare for others to enjoy. Here are some suggestions and how tos for kids’ craft projects: These craft projects are geared toward the 4-7 year old. Plain, shiny gold or silver ornaments. The larger ones are preferred since they give a larger working area. Place the papers onto the working area (table). Cover thoroughly. Have the kids sit around the table. Give each kid an ornament. Tell them to be very careful since the ornaments break easy. Have them sprinkle the glitter over the glue. They can use a variety of colors, if desired. Let their imagination go wild! Another great craft project for kids is to make their own snowflakes of different sizes and colors. Cut triangles along all sides. For white paper, kids can color as desired. kids can write their names on the snowflakes with crayons. For the small cook, nothing would be enjoyed more than to have his or her own personalized apron. Buy a plain apron and let them decorate as their imagination tells them! Place the magic markers in the center of the table. Tell them that they can put their name on the apron. (For instance, show them how they can write “Marie’s (their name) Apron” on their very own apron. Tell them that they can draw pictures of Christmas trees, stars, angels, etc. on their apron. Let them know that the apron is a gift that will be used for years to come. In today’s hurried society, many things we once took for granted are now becoming obsolete. A hand written letter, a hand ironed wardrobe (can’t say I miss this one! ), and even a hand prepared meal at home. Yes, cooking is becoming a lost art. The fast food society has fit in perfectly with our fast paced lifestyle. The deli sections in grocery stores are more popular than ever. Some very tasty and quickly prepared foods can be picked up here. The same goes for the frozen food section. There is a wide variety to suit any discriminating palate found here. And, it is all so quick! Recently, our society is ‘going back’ to eating whole foods. There is a growing trend to steer away from ‘foods’ prepared by huge conglomerates who are only interested in the bottom line. We want to touch, smell, and taste our foods as they were meant to be. Many are experiencing health concerns and turning to natural foods to heal their ailments. Most foods have their roots in medicinal purposes. Remember Hippocrates? That is comforting, I believe. Contact Marie Buckner at 360.613.1085 to schedule a cooking class. To show how easy it is to prepare your own healthy meal, let us enjoy a full course meal. I promise that it is all quick, easy, and nutritious! Mash avocado with fork until smooth. Stir in cheese. Add remaining ingredients. Chill in refrigerator prior to serving. Serve with crackers, tortilla chips, or fresh veggies. Combine all ingredients together in medium bowl. Mix thoroughly and serve as either a side dish or as topping on your favorite wholegrain. Adjust amount of yogurt per your liking. In a small bowl, dissolve miso into a small amount of hot water. Set aside. Place all ingredients in large saucepan, including miso mixture. Cook over low heat for about 10 minutes. Serve with whole wheat pita bread. In large skillet, place all ingredients except for rice. Cook over medium heat until veggies are tender. Add more liquid to prevent sticking, if needed. Remove from heat. In large bowl, combine cooked rice and veggie mixture. Crumble tofu into blender/food processor. Add remaining ingredients. Puree until pudding-like consistency is reached. Adjust liquid, if needed. Serve chilled. Sprinkle with more coconut prior to serving. I love this time of year and all of its seasonal foods! Here is a recipe I developed using the cranberry, which is so popular now. It's a hit with turkey and holiday trimmings! Enjoy!! Place fruit and juices in small saucepan. Add water until cranberries are covered. Cook over medium heat. Bring to boil, reduce heat and cook til cranberries ‘burst.’ Stir frequently. Mash cranberries with fork. Adjust sweetener/liquid as needed. Store leftovers in airtight container in fridge. This dark green vegetable has curly leaves. In fact, it is an attractive-looking vegetable. In order to assure freshness, be certain that the leaves are firm and green. They are not to be wilted. Also, the stem should be firm. Kale is the most popular substitute for spinach since its taste is the most similar. These huge, dark green leaves have sturdy stems. The stems can be used in cooking. The leaves themselves can be about a foot wide. They actually resemble super large spinach leaves. The oval shaped leaf can be just as long as it is wide. Taste-wise, they have a slightly bitter taste. When cooked, the taste becomes milder. Collards are traditionally used in Southern cooking. They go great with beans! This dark leafy green also has large leaves. Chard is a member of the beet family. Hence, you will notice the sturdy stem to be either red or white in color. The stem is not recommended for eating. In fact, the chard leaves are pretty attractive leaves. A great way to use them is by making ‘cabbage rolls’. 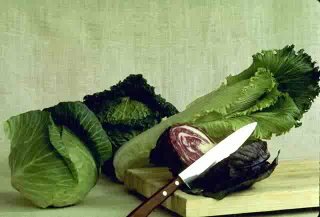 Substitute the cabbage with chard. These dark green leaves have a bitter taste, more so than the other varieties mentioned in this article. The leaves themselves are thin and narrow. These are best used in raw salads, combined with other greens. Or, steam some up, place on a plate, and squeeze a fresh orange over them. That will sweeten their taste. When you buy fresh beets, do not discard the greens. Use them. As a spinach alternative, they provide a slightly bitter taste. Cooked, they are much milder and enjoyable. Last, but not least, are mustard greens. These large leaves have a slightly peppery taste when raw. They are milder tasting when cooked. They are great in raw salads. Or, once again, steam them up and squeeze a fresh orange over them. A great recipe involves stir frying some chopped mustard greens up with mushrooms, onions, and minced garlic. Ooh lala! Now that we know about the alternatives available for spinach, let’s discuss how to store and buy them. All of these fresh greens have a slight smell (scent) when purchased fresh. If they have a strong odor, do not buy them. Leaves should stand up and feel firm. They should not droop. Greens and colors should be vibrant, not brown or dull looking. All the above-mentioned dark, leafy green spinach substitutes can be eaten raw or cooked. Enjoy in salads, stir frys, or simply steamed. Also, try chopping some up and putting into spaghetti sauce or soup. I have just published two new ebooks that are fresh on the market! One is a how-to book titled 'Cooking & Eating the Lowfat Way'. It gives suggestions, recipes, and ideas for enjoying a meal plan that's lower in fat for optimum health. 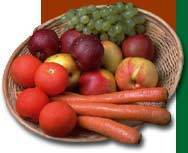 Information is compiled from 20 years of my teaching, reading, and learning about healthy eating. It makes a great gift for anyone interested in healthy eating! This informative 'how to' ebook can be purchased by clicking here..
My other book available in ebook form is the second edition of my 'Joys of Organic Cooking, Vol. I'. It contains recipes developed over 3 years while working with an organic foods delivery firm. Recipes all include a nutritional analysis to aid in meal planning. The cookbook also introduces a variety of new uses for foods such as turnips, beets, parsnips, etc. Recipes are all taste-tested and popular with my readers plus students! The software I use is good for recipe input, but doesn't transfer over into a cookbook well. I need to switch to PDF. My files won't transfer for some reason. Why? Why can't I just push a button and have everything done? It's supposed to be easier than this, according to the directions. My cookbook series has been selling via hard copy. It's so time consuming to switch everything over for online selling. Murphy's Law follows me everywhere. What better way to share a gift of healthy eating then to give a personalized whole foods gift basket? Everyone loves a gift basket. Gift baskets can be convenient, thoughtful, and resourceful. So, you need ideas about what to put in your whole foods gift basket? It's easier than you think. First, buy a sturdy wicker basket. The sturdier the better since some whole foods are not too lightweight. I have found great deals on used wicker baskets at garage sales, flea markets, and second hand stores. That's what is nice about baskets; they can be used over and over. Secondly, what types of whole foods does your recipient like? I knew someone who ate nothing but fresh fruit. My gift basket preparation was easy with him in mind. Some people like only veggies. Some prefer a mixture. Whatever they prefer will be he main ingredient in your whole foods gift basket. They all make for a healthy basket. Have some organic fresh whole foods as the base of your basket. I highly recommend organic since they really do taste immensely better than non-organic. Then add in some organic fresh herbs. Place a health-related magazine or newsletter in for extra enjoyment. You can even add a peeler, and colorful napkins to complete your whole foods gift basket. Also, have some colored heavy-duty clear wrap available. A reel of matching colored ribbon will also come in handy. This makes for an attractive display! Now, place the whole foods and other items into your basket. Arrange the items in an attractive manner. Wrap the basket with the colored clear paper. Secure the wrapping with the colored ribbon. There you have it! A personalized and healthy whole foods gift basket that will be enjoyed wholeheartedly. And, it will have you being remembered for a long time! I was surprised when I saw 'Cinnamon Sugar' at the market the other day. Located in the spice section, this appeared to be a new addition. I am amazed that people pay for this. I've been making it since I was a kid. And, my grandma was making it when she was a kid. The recipe for cinnamon sugar is very, very complicated. I will try to explain it so everyone can understand. Combine the two ingredients. Adjust amount of cinnamon or sugar to your liking. Store in covered container til eternity ends. You can keep it in your kitchen cupboard. Uses: sprinkle on toast, ice cream, mix into drinks, etc. There you have it...plain and simple. Enjoy! I was in Atlanta, GA for breakfast one day. I wanted a bowl of oatmeal, plain and simple oatmeal. So, I went into the local Waffle House. I looked at the menu and noted they didn't offer any oatmeal. I did notice something called grits. I had seen grits in boxes in the grocery store. They were always located near the oatmeal and hot cereals. The waitress came over and asked for my order. "I'll take some grits with milk and sugar, please." She gave me a very strange look and repeated, "A bowl of grits with milk and sugar?" "Yes," I said. She shook her head and went into the kitchen. Suddenly, I hear bursts of laughter from the kitchen. I notice the door is swinging open and faces are peering out at me. It was like I was the star attraction in the local freak show or something. When the waitress brought me my order, I asked her if I said something funny cuz I noticed the kitchen staff seemed to be laughing at me. I think she liked that question more than my order. She stifled her laughter and very politely she said, "Usually people order grits as a side dish like hash browns. We've never had anyone order it with milk and sugar. You're not from around here, are you?" I then told her I thought grits were similar to Cream of Wheat. We both chuckled. I still can't figure out why they're sold in the hot cereal section. I was eating in a Japanese restaurant a while back. My baked salmon came with a side of what I thought was guacamole. I filled my fork up with it, put it in my mouth, swallowed it, and DAMN!! I grabbed my glass of water, drank it faster than I ever thought possible, and flagged down the waitress. I couldn't talk, so I pointed from the glass to my mouth while grabbing my throat. My sinuses had cleared faster than any medication could provide. My nose was running, eyes were watering, and throat burning. Damn.....what was that green stuff? It's the spiciest guacamole I've ever had! She went back to the kitchen to get the water when suddenly I heard a shriek of laughter. I noticed the kitchen workers were peaking out the door looking at me. For some reason, I was their entertainment. When the waitress came back and brought me a pitcher of water, she told me that green stuff was wasabi (a Japanese horseradish). She then demonstrated to me that I was to mix it with soy sauce (in the small bowl) and dip my salmon into it. Tahini, also known as sesame paste, is most popular for its use in hummus. As it becomes more mainstream, it is being introduced into a variety of dishes. For instance, it can be used as a sauce on many steamed veggies. It adds a delicate, but nutty taste to everything it is added to. However, why buy it in the deli section when you can make your own for much cheaper? Let’s explore how to make your own homemade tahini. Skillet (lightly greased cast iron) or nonstick. You will need a food processor or blender to pulverize the seeds. Or, if you are a proponent of manual labor, use a mortar and pestle. It will take longer, but it can be done. I have even known someone to place the seeds into a bag and crush the bag with weights. Either way, you need something to turn the seeds into a flour-like consistency. You will need spatula or fork and a bowl. A wooden or rubber spatula is preferred. That’s it for equipment and/or utensils. Nothing fancy here. Tahini is made from sesame seeds. Since I am a proponent of organic foods, I try to purchase organic whenever possible. So, purchase some organic sesame seeds. More and more mainstream supermarkets (or grocery stores) are selling sesame seeds in bulk. The sesame seeds are usually located near the bulk foods nuts section. Many times they are sold in the ‘natural foods’ or ‘health foods’ section of stores. The price is cheaper than the prepackaged variety. By buying in bulk, you can control the amount you want. Plus, you do not have to pay for packaging, labeling, or a brand name. However, if you do not want to buy in bulk, simply buy some prepackaged sesame seeds. 1. Place sesame seeds into preheated nonstick skillet and cook over medium heat until lightly brown (roasted). This usually takes about 5 minutes. Stir constantly to prevent burning. 2. When done, place seeds into blender/food processor and process for about 30 seconds until floury texture results. Of course, if using a mortar and pestle it will take longer than 30 seconds. It’ll be a few minutes. 3. Add liquid, garlic, and oregano. Puree and/or blend until smooth. Nutrition (per serving): 61.1 calories; 81% calories from fat; 5.7g total fat; 0.0mg cholesterol; 1.0mg sodium; 47.3mg potassium; 2.4g carbohydrates; 1.0g fiber; 0.1g sugar; 1.3g net carbohydrates; 1.0g protein. I just wrote and submitted an article on making your own homemade tahini. Tahini is also known as sesame seed paste. It's the binder in hummus of all varieties. I remember how great it tasted on freshly steamed green beans. It's so easy to make, too. I only hope others will learn and try it themselves. Natural remedy for the day: Instead of spending money on toothpaste, try using simple baking soda. All you need to do is wet your toothbrush and dip it into some baking soda. It is an excellent way to remove plaque and help whiten your teeth. Using baking soda like this is a 'natural' technique that dates way back. My grandma was doing it back in the early 1900's. Another benefit is the fact that baking soda is much cheaper than toothpaste. Plus, you don't have to wonder which brand you're going to buy. There usually aren't that many to choose from.